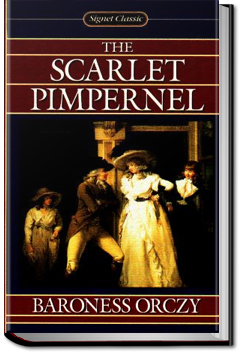 The Scarlet Pimpernel is set in 1792, during the early stages of the French Revolution. Marguerite St. Just, a beautiful French actress, is the wife of wealthy English fop Sir Percy Blakeney, a baronet. Before their marriage, Marguerite took revenge upon the Marquis de St. Cyr, who had ordered her brother to be beaten for his romantic interest in the Marquis’ daughter, with the unintended consequence of the Marquis and his sons being sent to the guillotine. When Percy found out, he became estranged from his wife. Marguerite, for her part, became disillusioned with Percy’s shallow, dandyish lifestyle. This entry was posted in Action/Adventure Books on August 14, 2016 by allyoucanbooks.